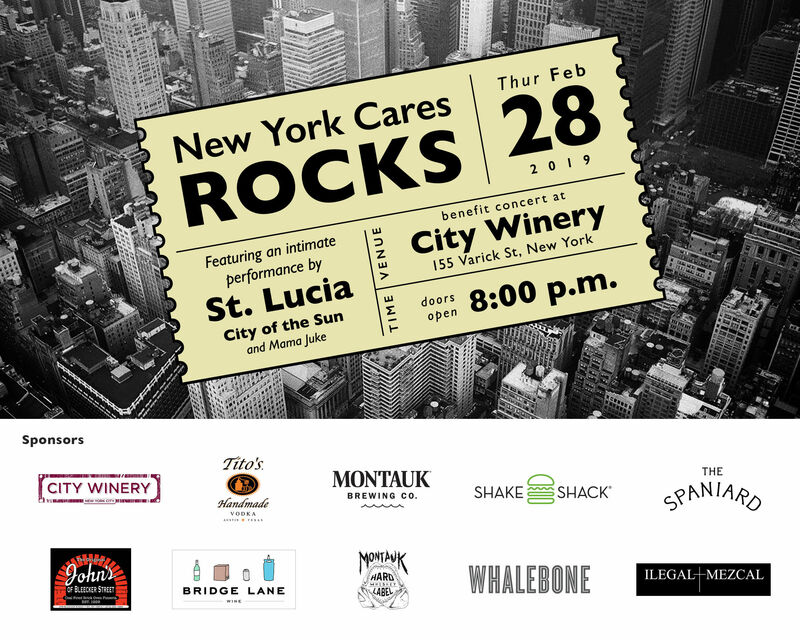 Join us for New York Cares Rocks benefit concert hosted by the New York Cares Rising Leaders Council. Don't miss an intimate performance featuring St. Lucia with City of the Sun and Mama Juke while we raise funds for New York Cares' ongoing volunteer programs. Every year New York Cares mobilizes 65,000 New Yorkers into volunteer service. These volunteers improve education, meet pressing community needs and revitalize public spaces touching the lives of over 500,000 New Yorkers in need every year. To learn more about New York Cares and the Rising Leaders Council visit newyorkcares.org. New York Cares has partnered with Give Lively to securely process your online donation. This transaction will appear on your credit card statement as "New York Cares". This transaction is subject to Give Lively's Terms and Privacy.